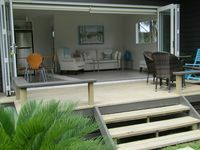 Property 23: Matakana peaceful rustic retreat. Property 27: Ruru Lodge, Kotare House. Spacious, modern, light, convenient, fully fitted. Property 37: Joie de Vivre. Stunning and unique. 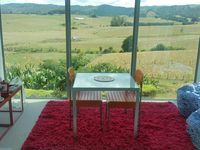 What a beautiful property with an Amazing view and a Wonderful hostess. The yummy breakfast was a lovely treat. Than you so much.